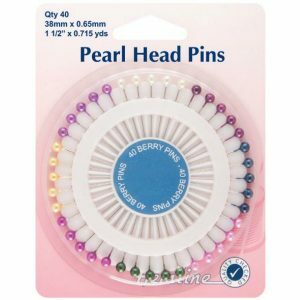 Handy Spool of 40 Berry Pins with a Pearl Head, 38mm X .60mm – Fantastic Price! Very popular product! Plastic Head Pins: Nickel 34mm 200pcs. Value pack. 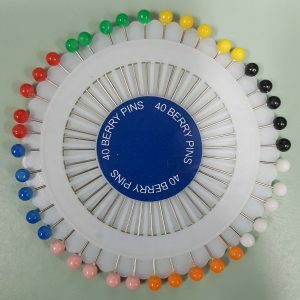 Popular length pins with colourful plastic heads. For general household and craft use. Supplied in clear view reusable storage box. 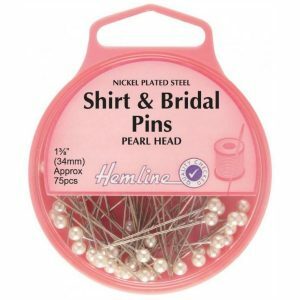 Assorted Pearl Heads Pins: Nickel 38mm 40pcs. Nickel plated steel with colourful decorative pearl heads. Longer pins for general sewing and craft use. Traditional pin wheel. Shirt and Bridal Pins: Nickel 34mm 75pcs. Nickel plated steel. Medium length, fine gauge pins. With large, bright pearl head for shirt and bridal use. Plastic Coloured Heads Pins: Nickel 38mm 75pcs. 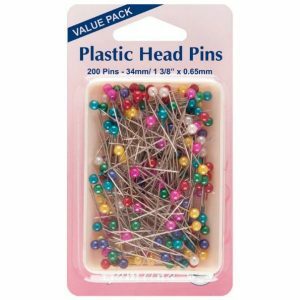 Extra long pins with colourful plastic heads. Ideal for stretch sewing and quilting. Supplied in a reusable plastic box. 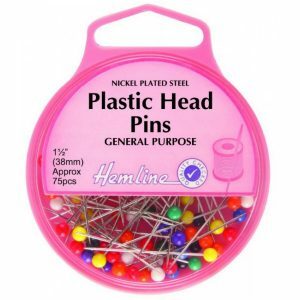 Plastic Head Pins: Nickel 38mm 75pcs. Nickel plated steel. 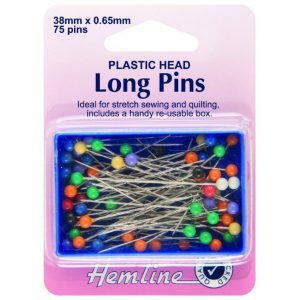 Long pins with colourful plastic heads. For general use.